Are You A SIX-Figure Earner Already Who Is Finding It Hard To Transition From Your Corporate Job To A Full-Time Business That You’ll Love Or Are You Currently A Business Owner Who Would Like To Explode Your Business In Order To Make Money Faster Than You Spend It? Let Personal Finance and Business Strategist Sherry Peel Jackson Give You Access To Wealth and Legacy Creation Strategies Gleaned from Millionaires So That You Can Be A Multiple Six or Seven Figure Earner And Finally Become Financially Free While Building The Lifestyle That You Desire Most! Let Sherry Peel Jackson, America's Leading Financial Specialist to Pastors, Women and Hard-Working Families in Need of Financial Transformation, Radically Change Your Life. Best Selling Author Sherry Peel Jackson Has an Exclusive Online Book Deal for You! Get both books with our limited-time value-added promotion and you’ll receive a FREE preview chapter of each book, along with special webinar (Business Success The Smart Way) and a video from Sherry describing for you the exciting inside information that you will learn from reading both How To Escape The Rat Race and How To Stick It To The IRS. Sherry provides us with practical materials and guidelines to follow to enhance our business success. 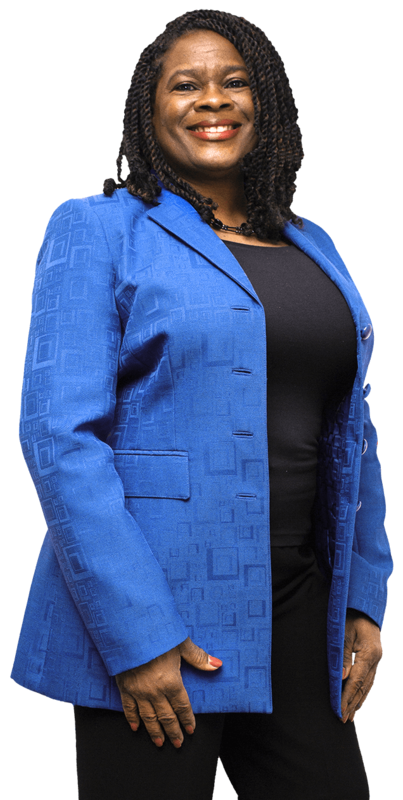 Her background in financial management comes through, providing a clear view on how to balance both business and personal finances. This has helped me to be more strategic in my decision making. We have used Sherry’s consulting services for many years. She always responds promptly and works until the job is done. 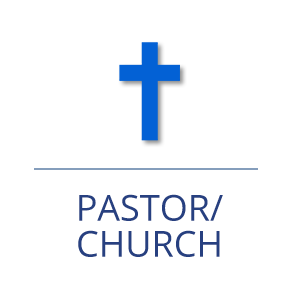 Because of Sherry, our church and personal finances are continuously above reproach. I received a letter from the IRS stating that I owed over $100,000! I got scared but then I went to Sherry. She asked me some questions and discovered that, among other issues, the IRS was trying to tax me on an IRA that I had properly rolled over! After bringing their error to their attention the amount due was significantly decreased! While our business was growing and moving to another city, we failed to file our 2014 and 2015 tax returns. Once they were filed in 2016, even though we owed no tax, the IRS charged us $5,000 for each late return, $10,000! We called Sherry. When we followed her instructions the IRS deleted the penalties! Thanks Sherry! "Bringing Economic Rescue To The Local Church To Empower Local Communities While Building Up Each Church and Advancing The Kingdom Of God"
Meeting Planners, Church Leaders, Women's Coordinators, Financial and Business Event Planners and Non-Profits: Hire Sherry to Speak At Your Next Meeting or Event! look like or someone else will decide for you. I help Individuals, Women, Business Owners, Pastors and Churches become more financially sound, get out of debt and reduce or eliminate any tax liability in order to obtain and keep more of their hard earned resources. I can make such a claim because my program has helped countless individuals, businesses and churches thrive. I am a retired certified public accountant, certified fraud examiner and former IRS agent with over 30 years of experience in public, private and governmental accounting. As a financial and business consultant, I conduct basic and advanced financial education seminars across the United States and abroad. 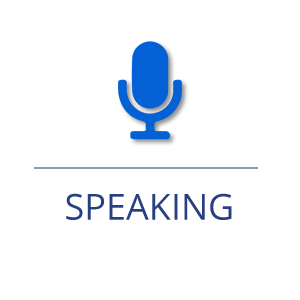 I'm also an author and speaker, and conduct IRS audit workshops for companies, organizations, and churches. 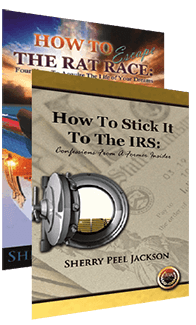 My books include How To Escape The Rat Race: Four Keys To Acquire The Life Of Your Dreams and How To Stick It To The IRS: Confessions From A Former Insider. 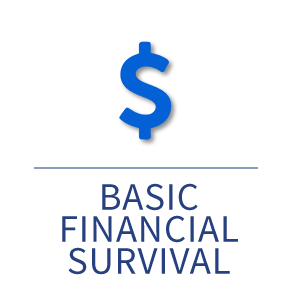 My courses in entrepreneurship and debt-free living can show you how to go from surviving to thriving. By following my proven systems, many have increased their income, reduced their debt, relieved their tax burdens and added peace of mind to their lives. These breakthroughs ultimately increase time for you to spend with your family, time and money to travel and pursue other business endeavors and they improve your overall health and well being as your stress level is drastically decreased!